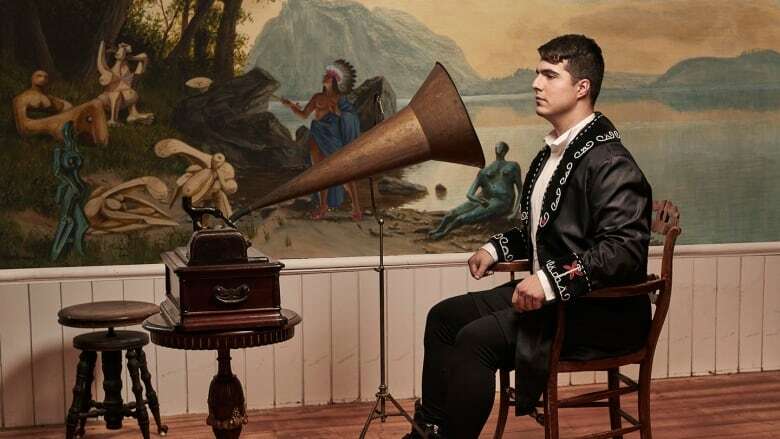 Jeremy Dutcher’s new album reaches across generations to a nearly forgotten history and brings ancestral voices back to life. Wolastoqiyik Lintuwakonawa, or Our Maliseets Songs, started as a seed planted by one of his elders more than five years ago. Jeremy Dutcher's new album reaches across generations to a nearly forgotten history and brings ancestral voices back to life. Wolastoqiyik Lintuwakonawa, or Our Maliseets Songs, started as a seed planted by one of his elders more than five years ago. Dutcher said it was an elder by the name of Maggie Paul, who encouraged him to learn more about traditional Wolastoq songs. She told him to find out about a collection of recordings housed in the archives of the Canadian Museum of History in Gatineau, Que. "And when your elders tell you to do something, you listen. So that sent me on a path that is culminating in this upcoming record," Dutcher said. Dutcher a member of the Tobique First Nation in New Brunswick, travelled to Gatineau and spent weeks listening to the recordings. "That moment when I first heard these recordings was a pretty profound one. These recordings aren't really known in my community except for by the very few people that are the song carriers," Dutcher said. "I had never heard these songs growing up at all and most people in my nation don't even know about them." The recordings were collected by anthropologist William H. Mechling. Dutcher explained Mechling lived in the community for about seven years, capturing aspects of community living more than 110 years ago. "They're not just singing songs but they're also telling jokes and laughing and there's groups. You can really hear the life in these voices," Dutcher said. At that time, recording technology was in the form of wax cylinders and the sound waves were etched into the wax. "Unfortunately, as you listen to it each time it degrades the sound wave and so you're unable to get the clarity each time you listen to it. Thankfully, since then [the Canadian Museum of History] has put them onto reel-to-reel tapes and then digitized them quite recently," Dutcher said. The operatic tenor and composer has now intertwined voices from the recordings with classical and electronic music. Dutcher said it's his way of preserving a severely endangered language for the Wolostoq people. He said in the 1990s the number of fluent speakers was around 500 but that number has now dwindled to fewer than 100. "In my family, in the past couple of years, we lost three fluent language speakers. When we lose that, we're not losing words. We're losing entire world views and ones that are so rooted in Wolastoqiyik worldview that it's really, really essential and it's really timely. And I think time is running out almost, and so there's an urgency for me for working in the language," he said. But Dutcher is clear that his album isn't an ode to the death of the language. "A lot of people want to frame this as singing in my dying language and always this narrative of death. But for me the language is living and it's growing so let's invest in that excitement. The way that I've seen our language being taken up and be passed forward by those knowledge keepers in our community, that's really encouraging,"
And for Dutcher, that sentiment is reinforced every time he steps out onstage to perform the songs from Wolastoqiyik Lintuwakonawa. "It's great because I get to feel that every time I go on stage now," he said. "I get to feel that support and draw on their knowledge on every performance that I do."